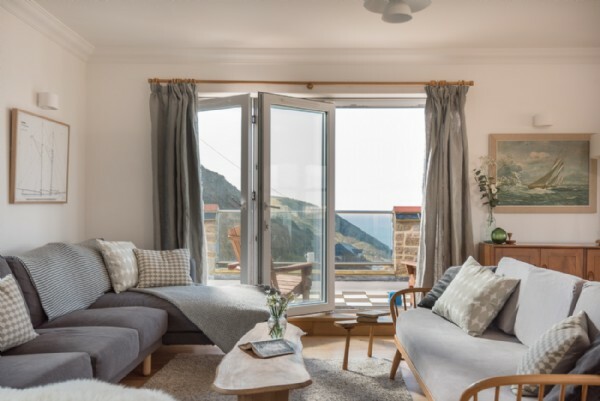 With an abundance of windows and prominent cliff side position, Galleon offers dramatic sea views over Portreath beach and the rugged north Cornwall coast beyond. 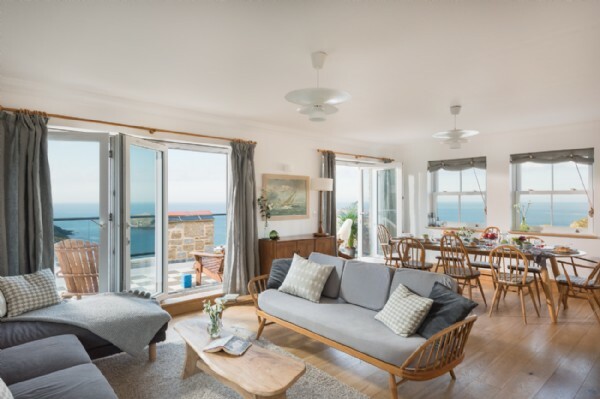 This impressive topsy-turvy self-catering beach home is a haven of first class craftsmanship, combining mid-century furnishings with a clean, Scandi style. 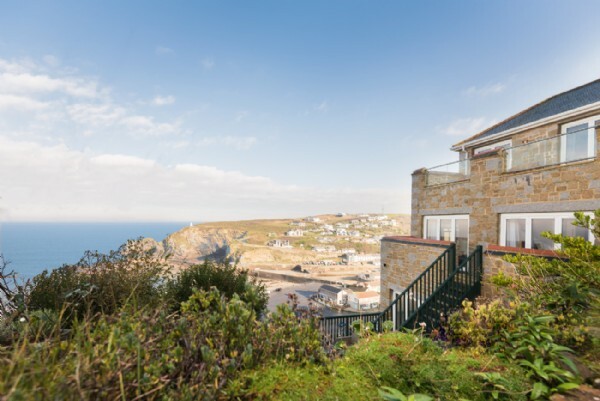 Let long lazy days drift by to the sound of the lapping waves at this luxury Portreath beach house. 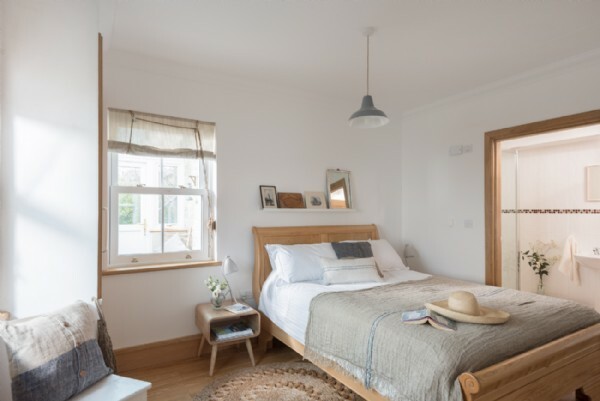 From humble seaside chalet to mesmerising hand-crafted home, Galleon has been lovingly rebuilt by two generations of the same family to offer luxury self-catering accommodation on the north Cornwall coast. 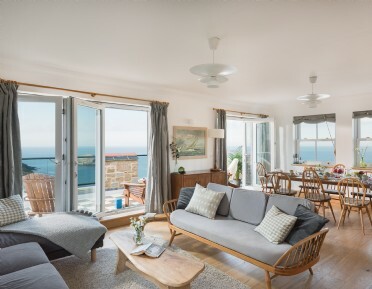 This luxury seaside homestay has been carved into the cliffside, maximising the views over Portreath beach. 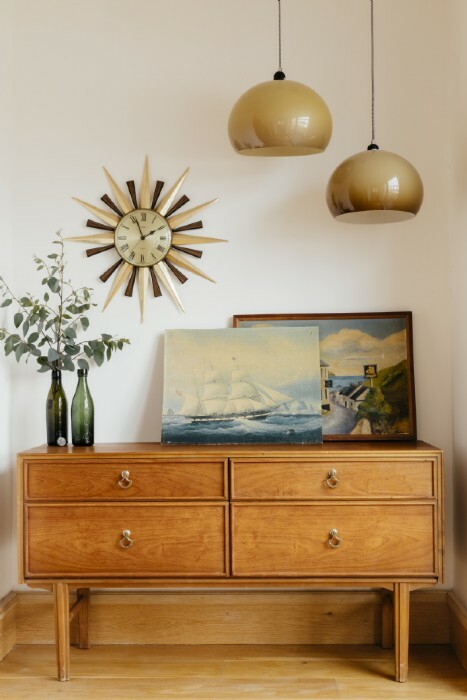 A visual pleasure of modern mid-century style, Galleon blends re-upholstered mid-century furniture with treasured family heirlooms and hand-painted seascapes. 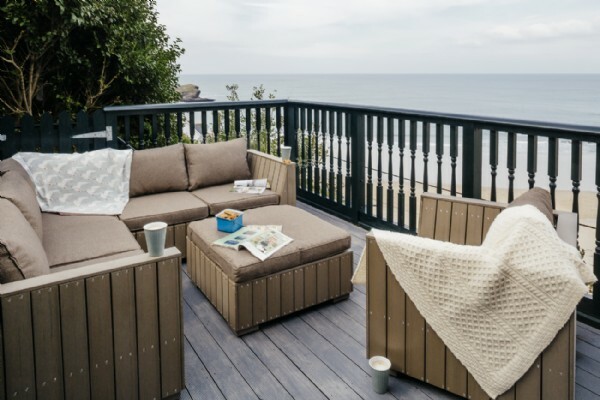 The perfect place to gather loved ones for a UK beach break in style. 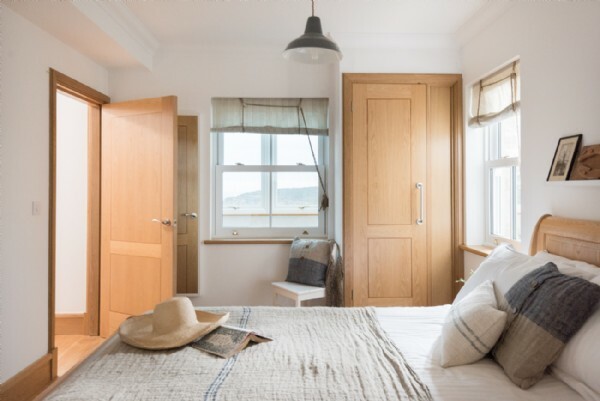 Head down to the light-filled sleeping quarters, where the master bedroom complete with king-size sleigh bed - hand-crafted by the owner's father - allows the gentle sounds of the waves to entice a blissful slumber. 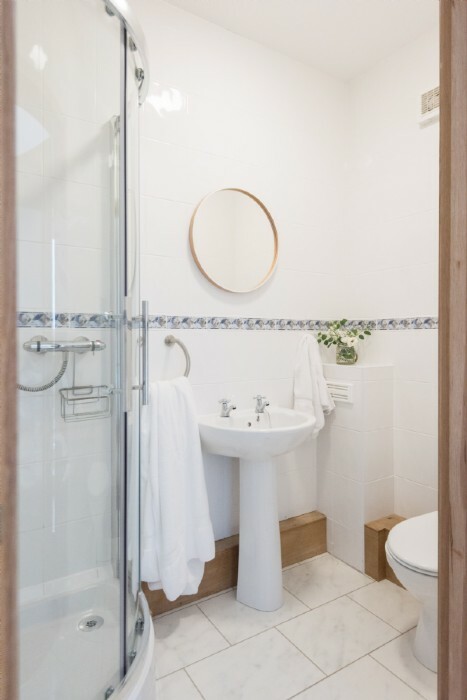 The second double with king-size bed and en suite shower (big enough for two!) 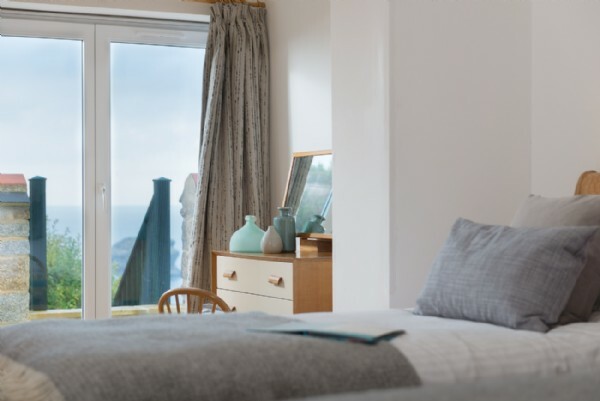 will be a haven for lovebirds, whilst the twin bedroom with en suite shower room enjoys access onto the balcony. 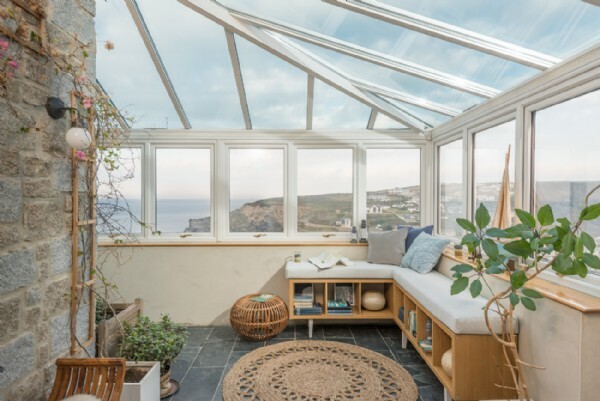 The open-plan living area stretches out onto the large patio meeting unrivalled sea vistas - the perfect spot for sunshine breakfasts and moonlit suppers. 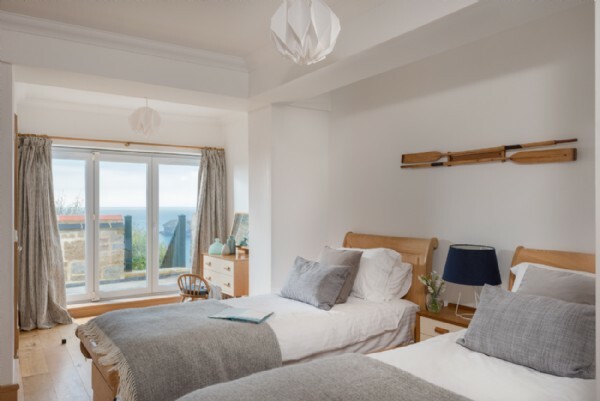 The master, along with the twin bedroom also have access to a small terrace designed for sunny mornings complete with fresh coffee and newspapers. 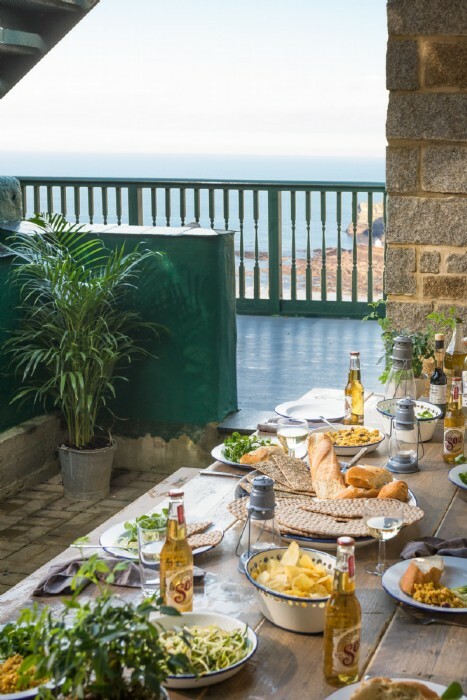 After long days of sand-in-toes fun, families can head down the steps to Galleon's lower deck area where you can enjoy long summer evenings and fish barbeques under a crimson sunset sky. 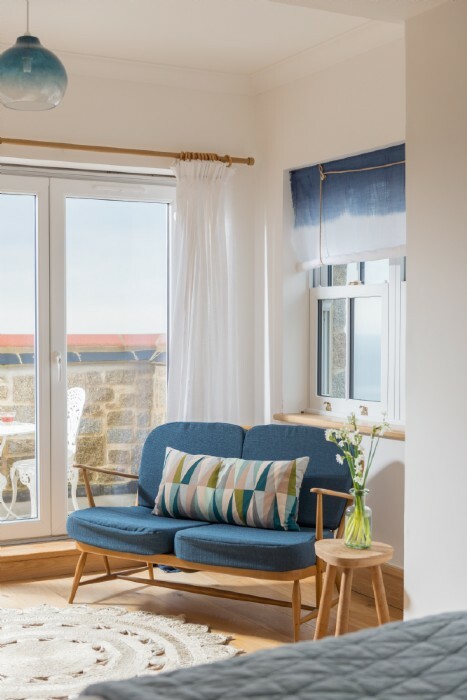 Galleon offers a composed retreat of calm, and is an idyllic haven whether you've spent your day sandcastle building or taking to the waves. 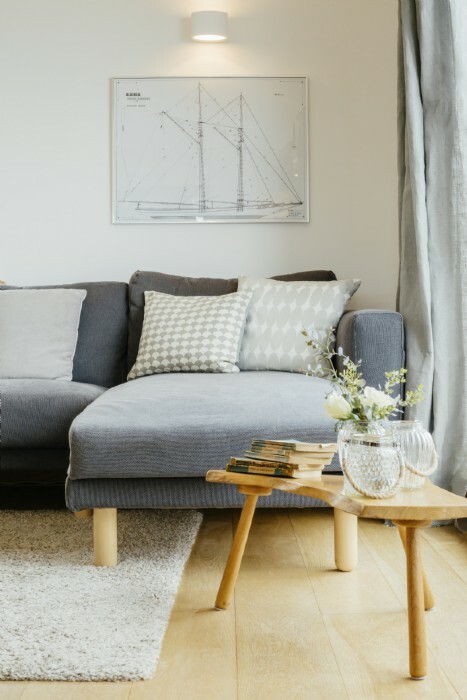 From days filled with exploring the rugged Cornish coastline and discovering quaint harbour villages, to evenings curled up watching movies; there's plenty to keep families and friends entertained at Galleon. 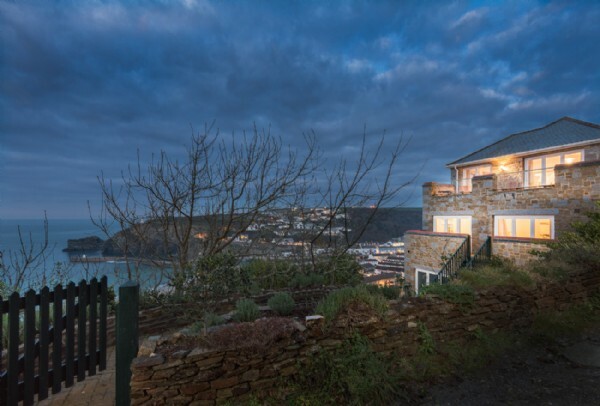 There will be nothing more soul satisfying than watching the moonlight dance over the ocean on a stormy evening, children wrapped up in bed and glass of wine in hand. The single track lane to the property is unmade and unsuitable for low-slung cars. There are two private parking spaces. 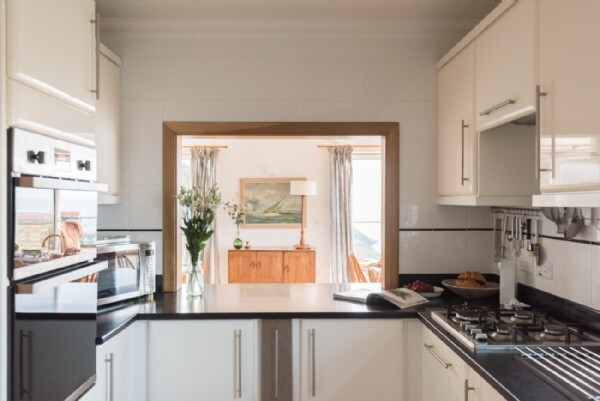 The kitchen is well-equipped with gas oven and hob, microwave, dishwasher and large fridge/freezer. 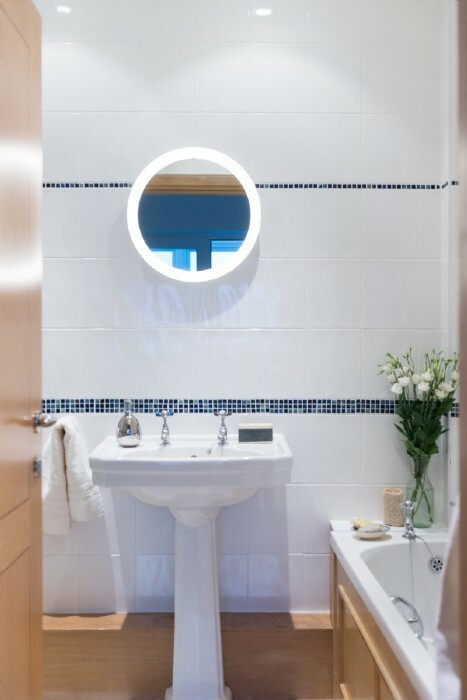 There is a separate utility room on the ground floor with washing machine and tumble dryer. 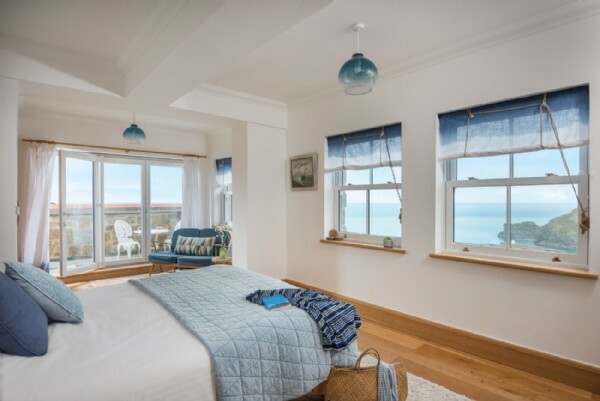 Style: This striking beach house really makes the most of the far-reaching sea views. 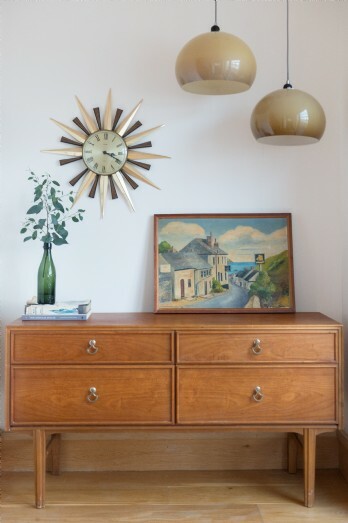 The large, light-filled living spaces have a seventies twist, with retro furnishings and medallion seagrass rugs. 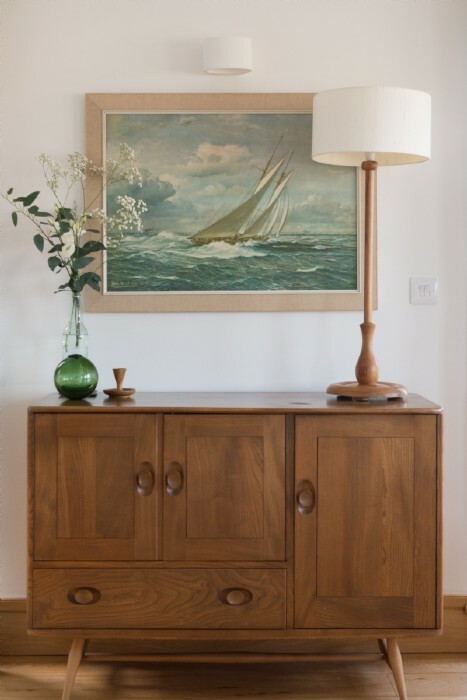 Throughout the property you will see my late father´s love of wood, sea and sailing; most of the wooden items were made by him. 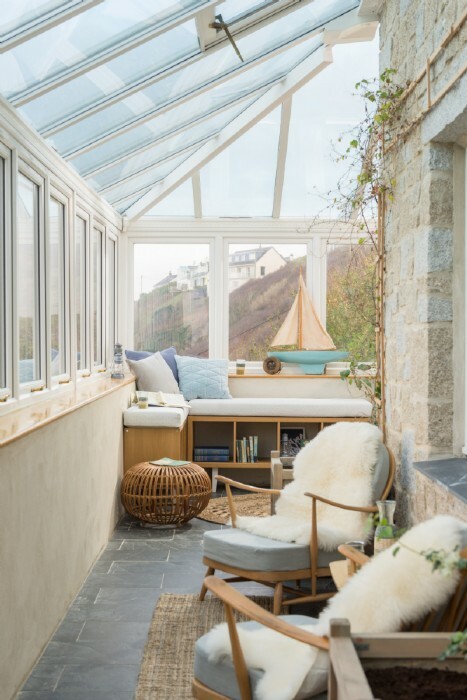 The position of the house is perfect for storm watching, safe from the huge waves! Sunset and sunrise are my favourite parts of the day, best enjoyed with a cup of coffee. 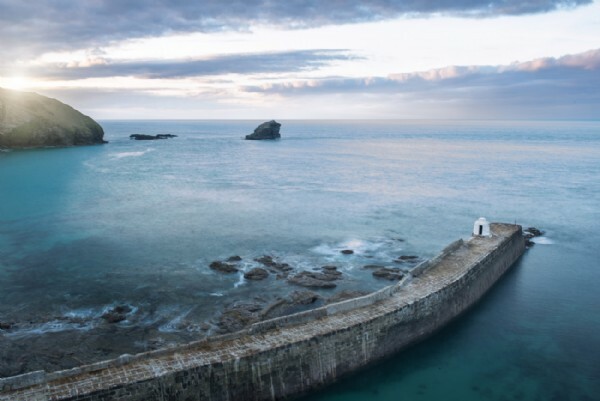 Discover places to see and things to do whilst in and around Portreath, Cornwall to truly enhance your stay come rain or shine! Surf's Up! 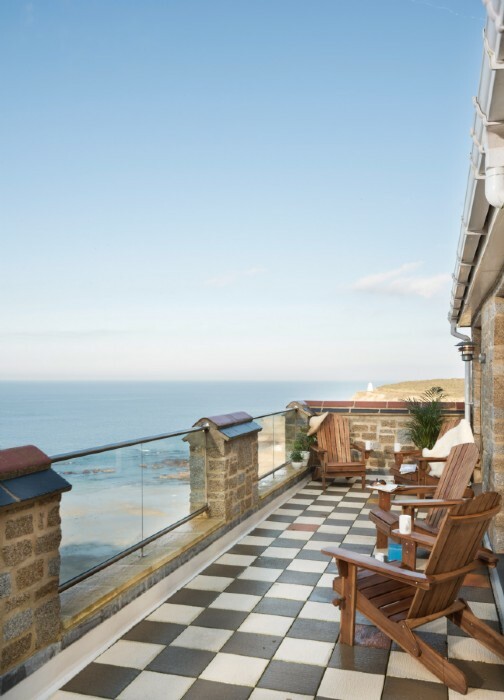 Galleon is ideally placed on the north coast of Cornwall with the surf beaches of St Ives, Godrevy, Gwithian and Hayle just a short drive away. 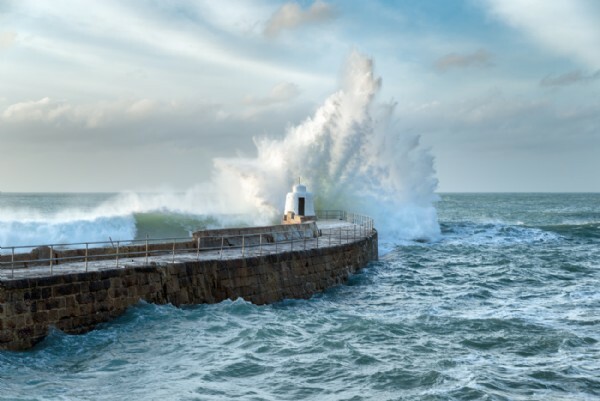 The fishing village of Porthleven to the south has one of the best surf breaks in the country. 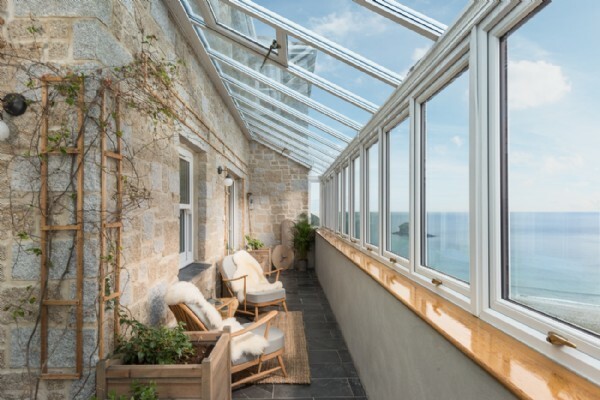 Harness Your Creativity Galleon is just half an hour from the picturesque St Ives, where you can visit the many quirky art galleries and mosey in and out of the local craft shops. 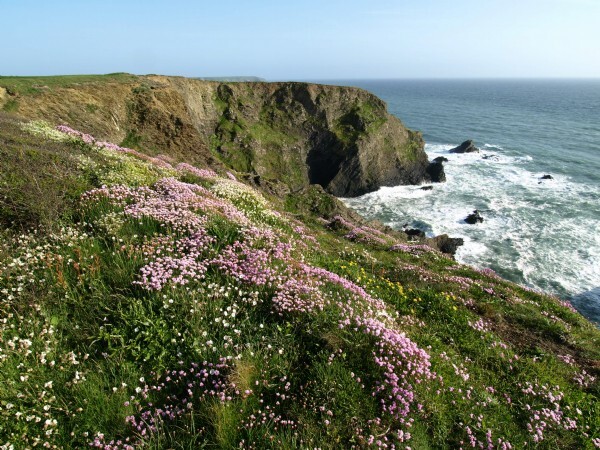 Find out for yourself why famous artists favoured the magical light in this corner of Cornwall with an afternoon art lesson. 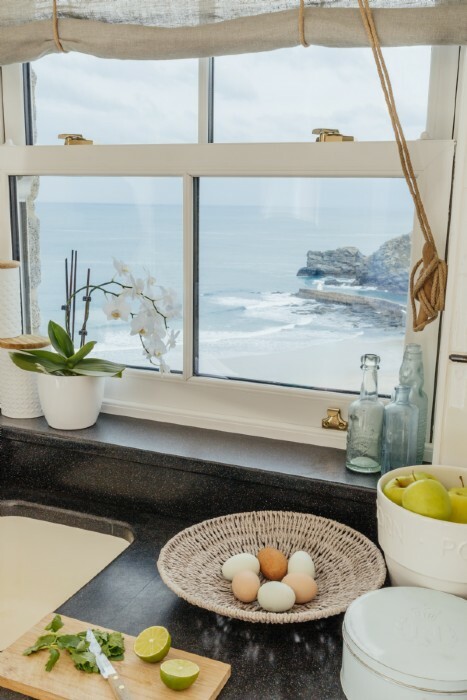 Beach Life Bask in warm sunshine on fine sands of Portreath beach below, or go surfing and windsailing under the watchful eye of the local Surf and Life Saving Club. 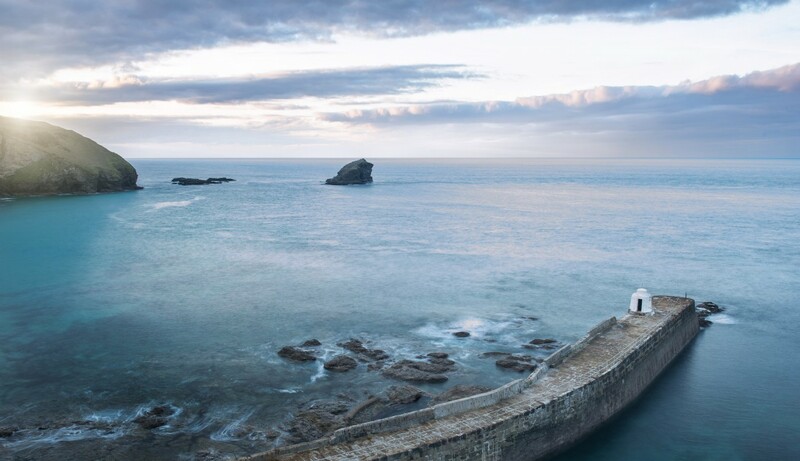 On the north side of the beach the harbour wall provides shelter and warmth for a fine tidal swimming pool. 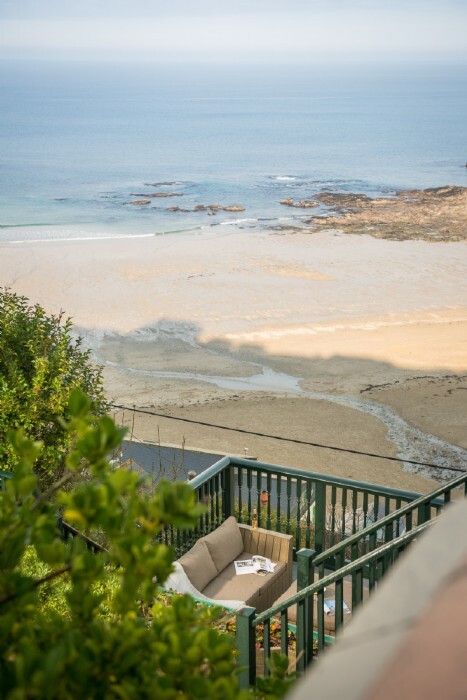 Set amidst rocks and rockpools here children can also spend many happy hours exploring the local marine life. 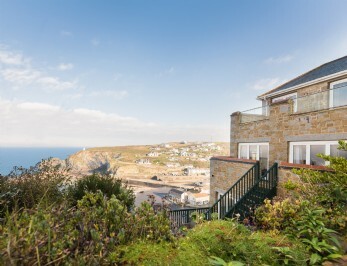 Nearest Beach 5 minute walk from the house to Portreath (please note the walk back is uphill and quite steep), 5 miles to Godrevy, 5.5 miles to Gwithian. 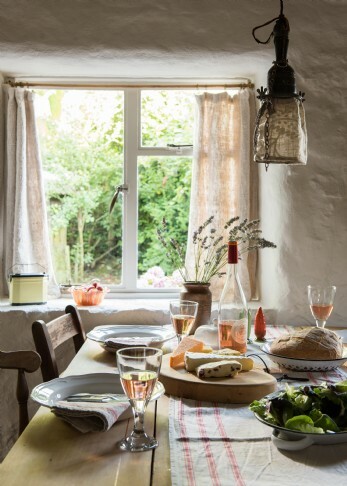 Chefs in the family will delight in the homely kitchen which provides a great space for serving the favourites. 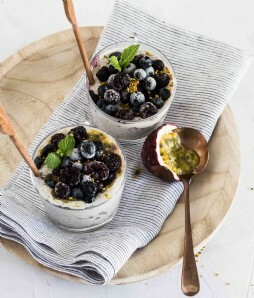 Or, why not test your culinary skills by attempting a local dish such as Stargazey pie? 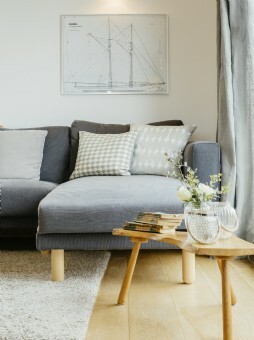 The open-plan living and dining room provides a social space where all the family can gather together. 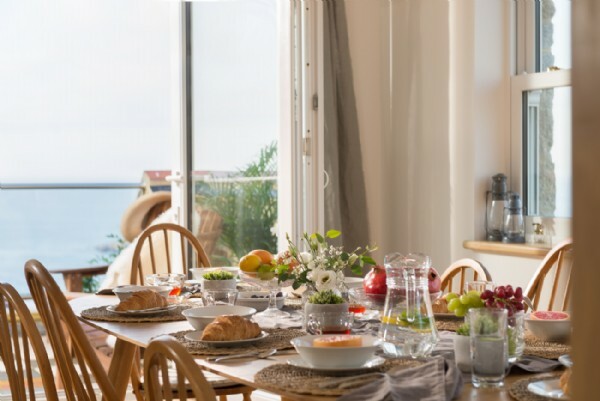 For home-cooked delights in the village, Porthreath bakery is superb for morning pastries and afternoon pasties. There is a great selection of local restaurants to choose from, starting with The Terrace, offering a varied menu of contemporary Cornish food with a Mediterranean twist. 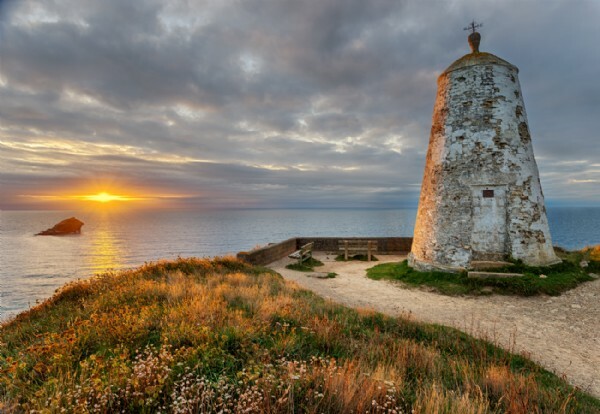 Cornwall's north coast is a treasure trove of quirky cafes, traditional pubs and fine dining restaurants - head further afield to Truro which offers a larger selection of eateries including Mannings and The Thomas Daniell.